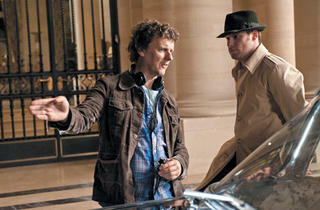 The Green Hornet director talks about the film that changed his life. Photograph: Jaimie Trueblood (c) 2010 Columbia Pictures Industries, Inc. All rights reserved. 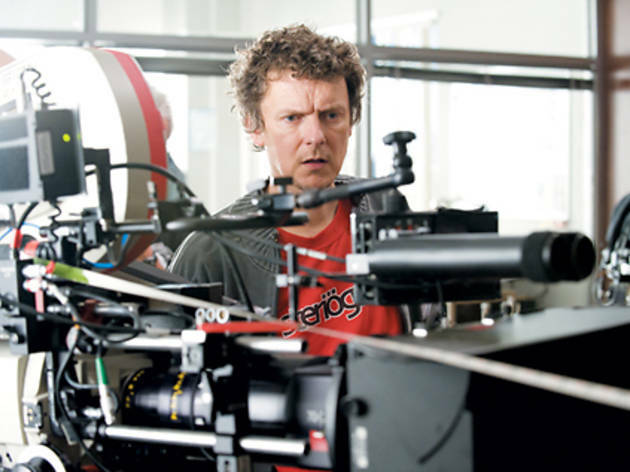 Photo credit: Etienne George.� 2006 Gaumont - Partizan Films - France 3 Cinema - Mikado Film S.P.A.
Michel Gondry is French and his films are dreamlike, so it’s only natural that he’d choose a film that’s both dreamlike and French, 1960’s Le Voyage en Ballon/Stowaway in the Sky, as the most influential in his life. 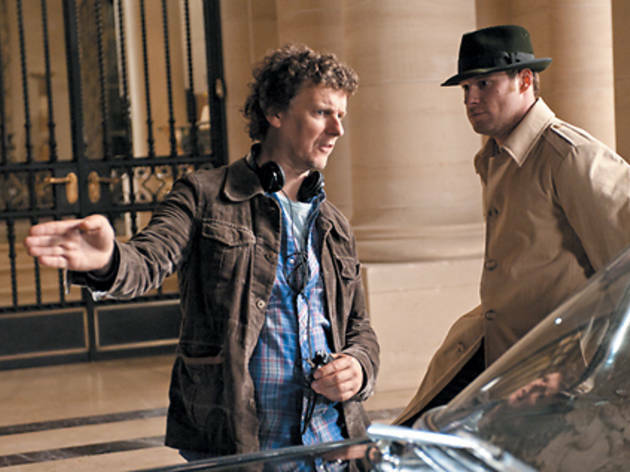 Gondry, who went from directing commercials and videos to features such as Eternal Sunshine of the Spotless Mind and The Green Hornet (out Friday 14), also shares a similar path with Le Voyage’s director, Albert Lamorisse, best known for his short The Red Balloon. How would you describe Le Voyage en Ballon to someone who has never seen it? It’s a story of a child and his grandfather—the guy is like an inventor—and they just travel about France in a hot-air balloon. Tell me about the first time you saw this film. I was probably eight or I would say even less—maybe five. It was on a Saturday afternoon, and I was in France at the time. Both my parents were working and there was a system where you would stay at school and do activities. That time of the year, we watched movies. They put a tent in the yard of the school and they screened 16mm prints. How did it influence your life? It’s the first film I remember. It’s the film I like to rewatch the best. When you’re young, you’re very receptive to all the stuff you see, the emotions. It may have changed my life because I’m always trying to re-create this feeling of watching this movie. The director, Albert Lamorisse, was a helicopter operator, and he had invented stuff to shoot from. In this one, he had his son in a basket hanging under the real helicopter. It’s not like studio stuff. It’s really flying. It’s under the helicopter; it’s always super windy and they have to change the sound because when you travel in a balloon, you don’t have wind because you move with the wind. So it’s very quiet. They had to post-direct all the sound, but it’s dubbed very roughly—that gives it a very dreamy quality. When you saw it, did you want to be the little kid in the film? Of course, and I was dreaming of building my own balloon. I remember in Before Night Falls, they build this balloon and it gets torn and it’s really frustrating. Charlie Kaufman wrote a script for Confessions of a Dangerous Mind, and in the script my favorite cut scene was: He wanted to escape over the Berlin Wall and he had this inflatable small plane and it was blue. That was my favorite moment in the script. Like a video I directed for a band called Willowz, for a song called “I Wonder.” In the video, a guy builds a car from trash. It’s very dreamlike to build a machine that’s not supposed to work, yet it works. In the film, there’s a shot where they let a white shirt fall to the ground and it dances around. It reminded me of the plastic bag in American Beauty. Oh yeah, that’s true. I know the director [Sam Mendes]. I think very likely it’s just a coincidence. You see those plastic bags flying in a minitornado. I don’t think you need to have seen this movie to get this idea. I will ask him, but I doubt so. This movie has not been seen so much. You’re right. 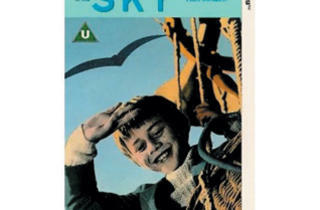 In fact, when it came to America it was renamed Stowaway in the Sky and narrated by Jack Lemmon. Who narrated the action in France? The guy who was following on the ground with [a] car! His name was Maurice Baquet, and he was a figure from the ’60s. He was a musician and kind of a mime. He was an artist and part of a guild, and he was appearing in movies like that, a little bit surreal. Lamorisse’s last film was The Lovers’ Wind. He died in a helicopter crash while filming it in Tehran in 1970. He probably had that in the back of his head, flying all the time. The thing is: When you fly with the camera you don’t have any sense of danger because you’re focused on what you’re doing. Like when I did a video for Björk in the Icelandic landscape, [for her song] “Joga.” We had small planes and a helicopter, and I was hanging out of the helicopter. Ordinarily, I would never do that. I’m really scared when I fly, and I had just a safety rope with a little hook. If I forgot to put the hook on, I would just be dead, basically. When I was shooting, I was never afraid of anything. But when the film would start to run out, I would realize, “Whoa! What’s happening here?” and panic. A lot of accidents occur like that because people are focused on what they have to do and they forget about safety. There was a really horrible story about this guy who forgot to put on his parachute, and because everything was ready and he was thinking of the camera, he jumped with only the camera, so he died. You kind of become fearless, and despite all the un-trendiness of fear, it’s here for a reason: to keep us here, to keep us alive. Directors often say, “Oh, I want to die on set.” Does that ever even occur to you? I want to die as late as possible. I want the biggest drop of life I could have. But would you prefer it to be on set or off set? I would say on set. I would feel safer. There would be a lot of people trying to save my life. If I’m alone in my house and I’m dying, I would feel very lonely. What was it like, seeing the film again recently? It made me reconnect to the time I saw it first, which is rare because a lot of times you just see how naive you were. I’ve been dreaming of flying. 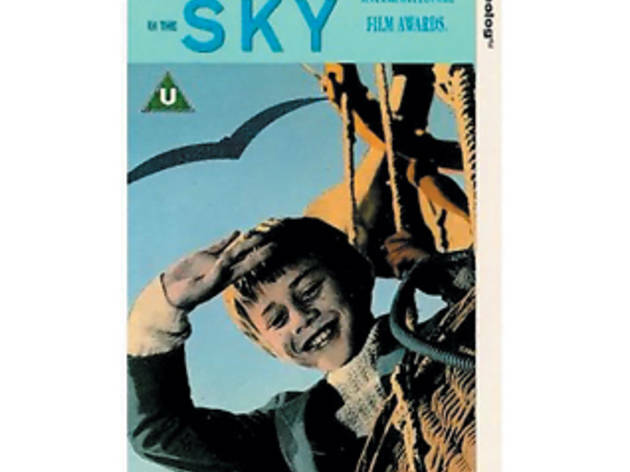 When I watch this movie, I dream I’m flying and then I do stories where people are flying. I think it’s directly influencing. Robert K. Elder is author of the book The Film That Changed My Life and a regional editor at AOL’s Patch.com.